In early 1989, Rolling Stone's Michael Azzerad panned it as "the sonic equivalent of a glossy tour program," stating that "even some of the more emotional songs, such as 'Shine On You Crazy Diamond' and 'Run Like Hell,' are delivered by a group of musicians who seem to be just going through the motions." Since "Delicate Sound of Thunder" represented my sophomore Pink Floyd experience, having first – by generational circumstance – been drawn to the band's preceding studio album, "A Momentary Lapse of Reason," Azzerad's take did not resonate. For all its virtues (but not impermeable to criticisms of the same ilk when it was first released) its official live predecessor "Ummagumma" was not as accessible to a younger and even novice generation of Pink Floyd fans, particularly given the 19 year gap between the twain. "Delicate Sound of Thunder" was simply a live album showcasing one of the world's greatest live bands in a catalog that lacked official live albums. "Delicate Sound of Thunder" was fundamentally divided into a set of music that was far ahead of its time and another that sampled a diverse and multi-dimensional band history. Most reviews were framed within a heated disputation that was realistically beyond critic or fan purview. More substantive criticisms would have leveraged the album's limited representation of a catalog that lacked live album treatment to begin with, i.e., arguing that the set it represented was not expansive enough would have been a more authentic critique – which makes the album's 25th anniversary that much more poignant. Over time, as I learned the band's history in greater detail I understood: Azzerad's view fit a narrative a good majority of Pink Floyd fans – and particularly those that were cognizant of the band's music in preceding generations – had experienced. For those of us who deployed into the band's sojourn during the 'Gilmour era,' we empathized at best: this was another period in Floyd's history, as beloved as the foregoing ones we would soon discover. We disagreed with Azzerad then and still do today. We absorbed "Delicate Sound of Thunder" imbued in the enthusiasm long-established fans had experienced and eventually reserved for the Pink Floyd of the 60s and 70s even if not that of the 80s and 90s. We understood, but remained agnostic in the 'Waters-Gilmour rivalry' – with few desertions, if 1994's "The Division Bell Tour" was any indication. 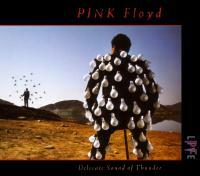 25 years after the "Delicate Sound of Thunder" release, it is understandable that its marriage to "A Momentary Lapse of Reason" was a difficult one to accept for many long-time Pink Floyd fans, yet several facts are indisputable: "Delicate Sound of Thunder" reached triple-platinum status and chronicled a tour that generated $135 million in revenue (nearly $260 million adjusted to inflation). Evidently, the tour and the album were successful and appealing enough for the band to not only replicate but also surpass that on "The Division Bell Tour" only five years later. Perhaps what has been missing in the discourse over this live album is not so much what we know about it and what is on it but what we do not know about it and what is not on it: a number of tracks that were included in the VHS release were excluded from the live album, and at least three shows were filmed but never officially released (at least not in its entirety in the case of one and not beyond a TV special in the case of another). The mysterious Omni recordings, otherwise known as "Pink Floyd: The Calhoun Tapes" among bootleggers, and the Palace de Versailles and Grand Canal recordings have surfaced in varying quality degrees with the advent of YouTube, a testament to the popularity of the 'Gilmour era' but not enough to compel any type of "Delicate Sound of Thunder" re-release yet; one that ought to embrace a more comprehensive set of tracks on album and additional video footage on DVD. That "Pulse" has leapfrogged "Delicate Sound of Thunder" in DVD format has further risked relegating "Delicate Sound of Thunder" to footnote status but there are many reasons we ought not to let that happen. Although one of the common criticisms of "Delicate Sound of Thunder" was the strong footprint "A Momentary Lapse of Reason" left on the album (by virtue of its dominant presence on the live set it chronicled), that might actually be one of the album's strengths: as with the transition from Barrett to Waters, the band had transitioned from Waters to Gilmour and the live album represented this fully in terms of sound and content. It was, frankly, time for everyone to get on with it and for the chips to fall where they may. 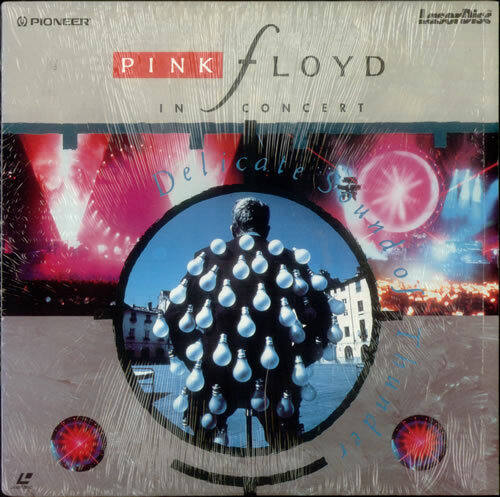 Given the absence of more "A Momentary Lapse of Reason" content on "The Division Bell Tour", "Delicate Sound of Thunder" serves as a testament to the dimension each of those studio tracks could take on in a live performance – something many fans wished they had experienced through official releases for practically all preceding studio albums from the Barrett through the Waters era. For "A Momentary Lapse of Reason" fans, it delivered solidly constructed performances of some of the album's most important moments. 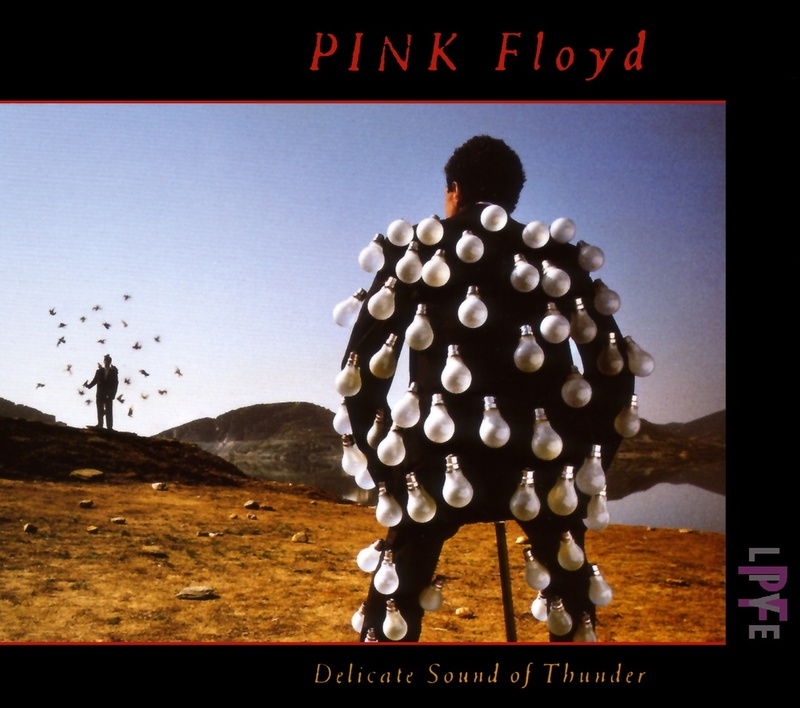 The symbolism of "Learning to Fly" in the band's history as well as the soaring guitar solos delivered by Tim Renwick on the track, the ethereal and colossal sound of "Yet Another Movie" (probably one of the most underrated Pink Floyd and David Gilmour tracks and one that never again resurfaced on Pink Floyd or solo tours), the truculent "Dogs of War" with its piercing yet elegant saxophone solo by Scott Page (and, overall, a great opportunity for the song to shine more powerfully than it did in its studio incarnation), and the trenchant "Sorrow", which has cemented as a timeless Gilmour guitar classic, all rendered in fine form. In this space, there is room to criticize that other tracks from "A Momentary Lapse of Reason" were excluded from the live album despite inclusion in the actual live set and VHS: it is not the weight of "A Momentary Lapse of Reason" on "Delicate Sound of Thunder" that should have troubled a sincere critic but the potential for inclusion of a lot more – both in terms of tracks from the overall Pink Floyd catalog that were performed on the tour as well as those that were not. Therein lays the most justifiable criticism – a far cry from the Waters vs. Gilmour yarn that engulfed most reviews 25 years ago. After 25 years, "Delicate Sound of Thunder" deserves to be judged from a perspective that is divorced from its surrounding controversial narrative – one that its warring sides have largely left behind. The album shows great strengths – particularly in the homage it paid to "A Momentary Lapse of Reason" but also in the potential it showed to interpret material from the past in a new light. "Comfortably Numb" stands out among these: it would seem unorthodox for guitar players, for example, to find fault with Gilmour's track rearrangements – which probably came closer to his original vision for the song. On a track like this, it really boils down to how objective the listener chooses to be and how important Gilmour's role as a guitar player is in his or her mind. The much heavier and layered guitar sound, the even vocal harmonies shared by Richard Wright, Jon Carin, and Guy Pratt, and what is, palpably, a more nuanced cadence, delivered what may arguably be the most interesting rendition of the track since the original studio release. It is documented that the band wasn't quite 'feeling' "Echoes", for example, on the handful of dates it played the track. 25 years on, the relatively small amount of footage that exists of these performances begs for a well-mixed, band-approved version to be added to any potential "Delicate Sound of Thunder" reissue if a recording of high enough quality exists. Although the set was not much more adventurous than a handful of additional tracks from both "A Momentary Lapse of Reason" and other albums, they all deserve consideration for placement in a re-release to the extent that they were recorded presentably. What exactly was the band dissatisfied with in the Omni recordings, relegating the footage to bootleg status? How did the decision to scrap an entire recording production come about? Could any professionally recorded performances of "Echoes" surface in a re-release? Could a re-release include more tracks from the set? Will a DVD release include any substantive extras such as the Palace of Versailles, Grand Canal of Venice… and even the Omni footage? In many respects the "A Momentary Lapse of Reason Tour" was something much bigger and historic than "Delicate Sound of Thunder" was able to capture in its original form and certainly more than some critics were willing to acknowledge: whether they found the new Pink Floyd sound palatable or not, the band reached new milestones and played on a larger scale than ever. That "Delicate Sound of Thunder" was not expansive enough to reflect this does not diminish the quality of the album but it does leave a scattering of questions that should be resolved in any potential album and video reissue down the road. The Omni, Versailles, and Venice performances deserve official releases even if in the form of a package – beyond that, the band's historic performances in Moscow should be officially documented in a more visible form to the extent that any footage or photography is available. As Scott Page, who played both saxophone and rhythm guitar on the tour says: "To the fans and the people that want to see it, they want to see it: it's part of the moment, right?" Having unintentionally taken the mantle of band archivist during that tour – collecting audio-visual material that chronicles not just performances but many behind-the-scenes bits that will give fans greater insight on the importance of this moment in Pink Floyd history – Page serves as a reminder of something we take for granted in today's iPhone society: live releases from any of the band's active years should not only be treasured but also expanded and re-released – and "Delicate Sound of Thunder" is no exception . (Page is on the cusp of releasing photographs and selected video footage from over a hundred hours of his own audio-visual material for fans – and even band members – to see for the first time in 25 years). Finally, in considering "Delicate Sound of Thunder" and its place in Pink Floyd's catalog history, it is important to recognize the quality of the product itself. As floydpodcast.com's Matt Leonard observes "'Delicate Sound of Thunder' was (recorded) on film – like analog – it gave that film a different, warm texture" compared to many other concert recordings – "Pulse" included; as Scott Page points out, director Wayne Isham and producer Curt Marvis were at the top of their game when they worked on "Delicate Sound of Thunder". Although the VHS release would take place nearly half a year later, its place in a future, potential "Delicate Sound of Thunder" re-release should be as important as the live album itself. Given the extensive treatment that the band's studio albums received during the "Why Pink Floyd...?" campaign, it seems a similar approach could be applied to the band's live material – spanning "Ummagumma", "Is There Anybody Out There? The Wall Live 1980–81", "Delicate Sound of Thunder", and "Pulse". The amount of live material that must exist for each tour should compel an effort between surviving band members to embrace a new project: a comprehensive release of Pink Floyd's live material that not only expands on what has been released officially but also adds to it, exploring material from the many tours in between. What many of us would hope is that "Delicate Sound of Thunder" is given the treatment it deserves given its unique place in the band's history. A DVD release would have made a great 25th anniversary celebration. Fingers crossed for something to happen by the 30th.